You deserve excellent dental care from a compassionate and skilled team. That’s why you chose Tomasik Family Dental! We offer personalized care and convenient office hours to make dental care fit comfortably into your busy life. Here are some of the other ways we prioritize your comfort. We live in a digital world, and we understand that both our existing and potential patients need to be able to obtain information and to communicate with us online. If you are considering becoming part of our patient family, the online service descriptions on our website will provide an overview of what we have to offer. You should also definitely check-out our website’s “about” section where our team bios, community involvement, and blog are located. What happens when you suddenly remember that question you meant to ask during your appointment, but it’s after hours? Fortunately, we have an online chat service that is available 24/7 to give you the answers you need, when you need them. There’s a pop-up box in the lower right corner of the website that you can use at any time to chat with our front desk team. And, if we’re unable to completely answer your question after-hours, we’re always available to help you during our normal business hours. There are so many helpful resources available on our site for both new and current patients alike. Having an online presence gives us one more way to connect with you and to provide you with the information you want and need in order to make informed decisions about your dental healthcare. A quick Google search for “technology” will result in all kinds of results in all areas of work, from engineering to home life and yes…even to dental. The advancements in dental technology have not only transformed the art of care, but also have heightened the level of care we can provide to you. Technology allows us to give you better care in less time, with an even better result. If you thought, “Woah, cool…lasers!” as you read that first sentence, then you’d be right. Laser dentistry is pretty cool. The use of lasers in dentistry was first introduced in the 1960s and has exploded in popularity over the last two decades. Now, dental lasers can be used for a variety of purposes. The laser we use at Tomasik Family Dental is a dual wavelength laser that can be used for both hard and soft tissue procedures. Most people think of (or even dread) the sound of drills when it comes to filling a cavity. But, with our dental laser, we can treat your cavity without the drill. We also use it for surgical treatments, which means less bleeding and quicker healing. The laser can also be used to treat cold sores and ulcers and can even improve the quality of your (or a loved one’s) sleep by altering soft tissues to prevent snoring. If you’ve ever received a dental crown, you probably remember the procedure taking multiple visits to the dentist over a two-or-three week period. However, with advancements in digital dentistry, we can now design, make, and fit your crown in just one visit! CEREC® is a CAD/CAM technology that makes natural-looking and beautiful porcelain restorations right here in our office. Before CEREC, Dr. Tomasik would 1) take an impression of your teeth using the goopy impression material; 2) send the impression off to a dental lab to make the restoration; 3) wait for it to come back in the mail; and, 4) then contact you to fit the new restoration. With CEREC, all of that waiting time, along with the uncomfortable impression experience, is erased. Plus, no more temporary restorations! Using a camera, Dr. Tomasik takes a digital impression of your mouth, and then uses the computer technology to design and create your restoration…all while you relax in the dental chair. CEREC lets us give you a better dental experience, with better quality and a quicker result. If you suffer from frequent headaches, you could be one of the many Americans with either TMJ disorder or bruxism. TMJ disorder is when the temporomandibular joint (TMJ)—which acts as a sliding hinge connecting your jawbone to your skull—isn’t functioning properly, resulting in pain. Bruxism is the clenching or grinding of your teeth, which typically occurs while you sleep but which can also be caused by stress. In fact, many people don’t even realize they’re doing it. In addition to causing headaches, bruxism can destroy your teeth over time, so it’s important to seek care to prevent any resulting damage. If you have sore or tired jaw muscles; broken teeth; worn-down enamel; gum disease; clicking or popping in the jaw; or, painful chewing or yawning, you are likely suffering from bruxism or from TMJ disorder. The good news is that we can fix it, restoring your comfort once again. TMJ and bruxism can be treated with a custom-fitted oral appliance. You don’t have to continue living in pain. Let Dr. Tomasik evaluate your jaw to determine what kind of appliance would be best for you. We know visiting the dentist can cause many people anxiety, which is why we do all we can to make your visit as comfortable as possible. We don’t want you to miss out on getting the care you need for keeping a healthy, beautiful smile. It can get cold in a dental office, so instead of shivering, why not cozy-up in one of our warm blankets while listening to an iPod with preloaded music or while watching the TV in front of your dental chair. You can even bring your own music and headphones or send us requests! We want to make sure you are relaxed and comfortable. If blankets and music don’t take the edge off, we also offer sedation options such as nitrous oxide (laughing gas) and oral sedation. Additionally, we even have a board-certified anesthesiologist right here in our office to help you achieve even deeper levels of relaxation. Have questions about an upcoming procedure and what the best relaxation options are for you? If so, contact us, and we’ll be happy to talk you through it to make sure your experience is comfortable. Dealing with insurance companies can be tricky and stressful—especially if it’s not something you do every day. Just learning the how-to’s takes a lot of time, but that’s where we come in! 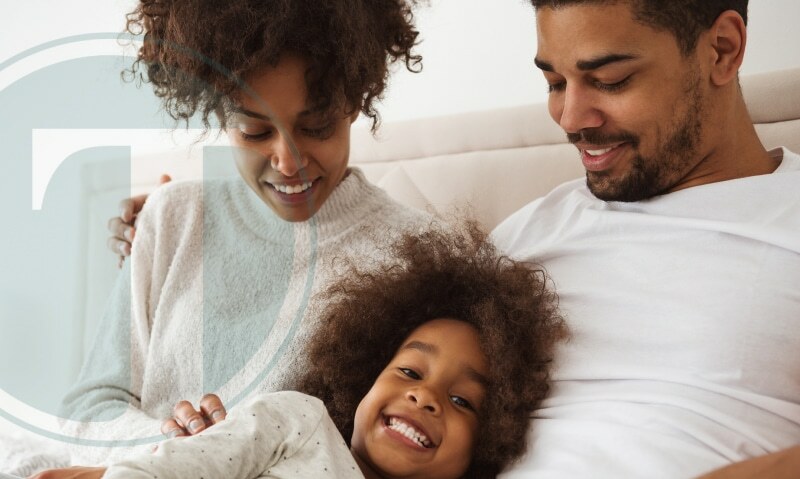 Our team knows the ins and outs of dental insurance and will verify benefits, will file claims, and will accept payment directly from nearly all PPO plans. We are trained insurance specialists who know how to fight on your behalf to make sure you get the most out of your available benefits. In-house membership plan—the alternative to dental insurance. Many families choose to opt-out of dental insurance, which makes our membership plan an easy alternative. This plan works like a dental savings plan, giving you all the care you need, plus a discount on additional services. For a low annual fee, you and your family can get free exams and twice-a-year professional hygiene cleanings and X-rays, as well as 15-20% off all necessary treatments. This is a great choice for individuals and families alike who don’t want the hassles that dental insurance can bring but who still want to receive the benefits of care. Do you need a larger procedure that isn’t covered by dental insurance? If so, we offer financing options so you can get the care you need now and pay over time. We know you have many demands on your monthly budget, which is why we believe in working together to find options to give you the care you need. You shouldn’t live in pain, putting off a dental procedure just because of financial strains. Our financing options open the door to relief, while making payments comfortable and affordable. We offer CareCredit® financing. CareCredit is endorsed by the American Dental Association and offers special financing, ranging from six to 60 months. Dental emergencies can be scary, and we’re here to help you in case of a dental emergency. First, try to stay calm. Then, call our office at (512) 710-3466 right away, and we’ll take care of you. If there is excessive bleeding, please seek emergency care immediately. Here are some basic emergency care tips from Dr. Tomasik and the dental team. Gently rinse your mouth with warm water. Apply pressure with a clean cloth to stop the bleeding. Apply an ice pack to reduce swelling. Note: Dr. Tomasik can’t reattach the piece that has broken off, but he can suggest restorative options, such as bonding or crown placement to return it to full function. Push the tooth back into its correct position, and bite down gently to hold in place. Apply pressure to the site with a warm, clean cloth. Recover the tooth, and rinse with warm water. Hold the tooth by the crown, not by the root. Do not remove any connective tissue that may still be attached. Store the tooth in a clean jar of milk or in your mouth, between the cheek and gum, until you can see Dr. Tomasik.